[POUT!] BabyDoll Lipsticks – [POUT!] Cosmetics IW Available at Skin Fair 2018, open on March 9th. Teleport to the event. S&P Miya – Salt & Pepper IW Preview for the upcoming round of Japonica, opening on March 16th. Teleport to the event. Geo – JUMO IW Available at Skin Fair 2018, open on March 9th. Teleport to the event. [BAD HAIR DAY] – Aurora – [Bad Hair Day] IW Available at Whore Couture 8. Teleport to the event. Kane – Endless Pain Tattoos IW Available at the current round of We ❤Role-Play. Click here to peruse the shopping guide for this event. Open on March 4th. Teleport to event. [V-Tech]Iset[WHITE] – V-Tech IW Available at The Fantasy Collective. Teleport to the event. Malik – Vendetta IW Currently available at Skin Fair 2018, opening on March 9th at Noon SLT. Teleport to the event. This skin is featured on Lelutka Andrea and the Belleza Jake body ranging in tones 07 and 08. No editing has been done to these photos; this is a raw in-world representation of this skin without retouching. For a larger view of the detail, please click the above image to be taken to the media file. Below you will find the images showing details of the face/brow options included with each tone pack. Geo – JUMO IW Preview for Skin Fair 2018, opening on March 9th. Teleport to the event. 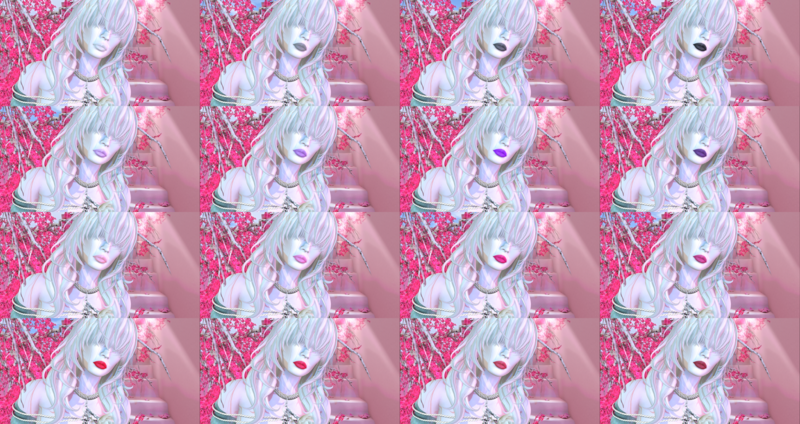 Tableau Vivant \ Silvana hair – Tableau Vivant IW / MP Available at Collabor88, open as of February 8th. Teleport to event. Nubia 3 – an lar poses IW Available at the current round of We ❤Role-Play. Click here to peruse the shopping guide for this event. Open on March 4th. Teleport to event. Alex Skin – Avi-Glam IW Preview for Skin Fair 2018, opening on March 9th. Stay tuned for landmarks and further details. This skin is featured on Catwa Daniel and the Belleza Jake body ranging in tones from Ivory to Tan. No editing has been done to these photos; this is a raw in-world representation of this skin without retouching. For a larger view of the detail, please click the above image to be taken to the media file. Guya – Endless Pain Tattoos IW Preview for Skin Fair 2018, opening on March 9th. Stay tuned for landmarks and further details. Modulus – Garrett Skin – Fair – Lelutka – Modulus IW Preview for Skin Fair 2018, opening on March 9th. Stay tuned for landmarks and further details. DUFAUX – belleza jake – long john – white – DUFAUX IW Currently available at Fameshed. Teleport to event. anxiety %bachelor – Anxiety IW Available at the Vintage Fair, open on June 9th and running through June 25th. Click here to visit the website for more information. Teleport to the event. Tableau Vivant \ Twiggy 2k [Catwa male fit] – Tableau Vivant IW / MP Available at Collabor88, open as of June 8th. Teleport to event.